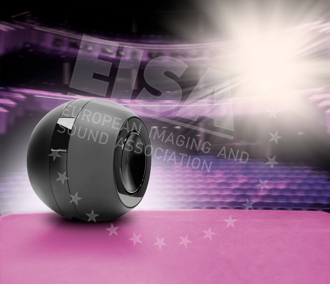 15. august 2012 avalikustati EISA (The European Imaging and Sound Association ehk Euroopa Pildi- ja Helitehnika Assotsiatsiooni – üle 50-t erilalast ajakirja ja neis kirjutavaid ajakirjanikke ühendav organisatsioon, mis hõlmab 20 Euroopa riigi audio-video toodetele spetsialiseerunud väljaandeid) arvates 2012-2013 hooaja parimad audio-video- ja fototooted. Audiotoodetele spetsialiseerumise tõttu on meie peamiseks huviks just need ja siinkohal võime taas kord tõdeda, et enamus neist väljavalitud osutunutest toodetest on meie kaudu ostetavad :) Ja loomulikult pakume neile toodetele sellese võidu puhul võimaluse korral ka erihindu! Kuna allpoololeva nimekirja toodete hinnad ja saadavus ajas muutuvad, on see info osa pigem informatiivne - ostusoovi korral palume võtta ühendust ja saadame teile hetkeinfo. The new age of USB computer audio has rekindled the flame of the outboard D/A converter (DAC). Among this new breed of USB DACs few are as simple to implement or as versatile in use as Audiolab's fabulous little M-DAC. It works directly with virtually all PCs and Macs without special USB drivers while its bold display shows a wealth of information about the incoming music data. An onboard volume control lets the M-DAC do the job of a preamp just as the choice of seven digital filters allows fine-tuning of its sound. And what a sound – powerful, insightful and delicate, it cuts to the heart of the music while remaining faithful to its soul. This is a very high performance product that's perfect for both the computer audio novice and seasoned enthusiast alike. 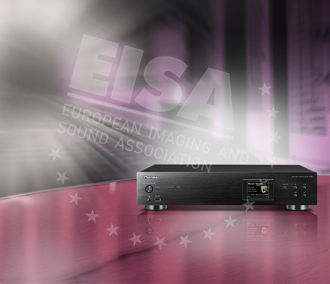 Panasonic’s DMP-BDT500 has it all. Fast and reliable when reading CD/DVD/BD discs, this multi-purpose modern player offers additional applications to connect with internet services and allows DLNA file-streaming. Generous connections include two HDMIs, making it easy to integrate with the rest of your system. Besides an advanced video processor that provides picture calibration, the DMP-BDT500 has a very special audio processor that allows you to choose between the sonic characteristics of six different vacuum tubes. Digital-to-analogue conversion is based on four 192kHz/32-bit DACs, and the Panasonic is ready to read FLAC files up to 192kHz/24-bit. LAN and Wi-Fi connections, touchpad remote control and applications for Android and iOS complete this impressive package. Network-enabled hi-fi separates are evolving at a fiercesome pace but Pioneer’s N-50 is sufficiently ahead of the pack that it sets the standard in its class. Its 2.4in colour LCD screen squeezes in a lot of information, including a thumbnail of the album cover and details of the file type and sampling frequency. The N-50 is also a lot heavier than its slim profile suggests thanks to its multiple power supplies and reinforced chassis. But most important of all, its DLNA-compliant Ethernet connection will handle the highest resolution 24-bit/192kHz media with other connections to support legacy digital products, USB audio and external Wi-Fi/Bluetooth adapters. Musically, it serves up a soundstage you can walk into – guitars sound slinky and cymbals positively sizzle as the N-50 weaves its digital magic. 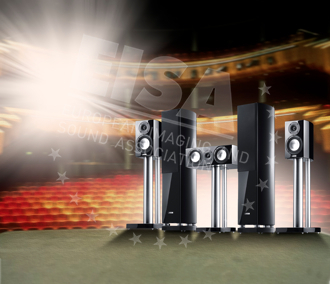 To casual viewers the LS50 will look like a minimalist, single-driver loudspeaker but in reality it’s more sophisticated. In fact, this single driver is one of KEF’s famous two-way Uni-Q units with its tweeter mounted at the acoustic centre of the mid/woofer. This latest iteration, coloured rose gold, features a cone formed of a special magnesium/aluminium alloy and benefits from a longer ‘throw’ to improve bass performance. The cabinet is not only beautifully finished but is sturdily constructed with constrained layer damping between its walls, internal cross-brace and front baffle. As promised, the LS50 delivers a remarkably big sound with vivid imaging and a tremendous bass weight that belies its compact dimensions. Shut your eyes and you’ll believe you are listening to a far bigger loudspeaker. Hi-fi without cables? 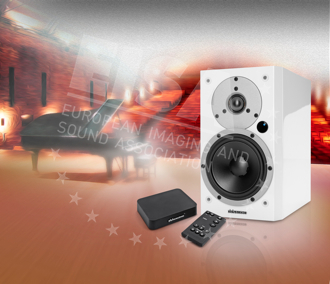 If this is your domestic dream then Dynaudio has the solution with its Xeo wireless audio system. If Wi-Fi is traditionally associated with lo-fi then Xeo looks to set a higher standard with its bespoke transmitter capable of streaming music, up to 16-bit/48kHz resolution, to its Xeo 3 standmount and Xeo 5 floorstanding loudspeakers. Both speakers include two 50W amplifiers for their bass and treble drivers while the partnering Xeo transmitter features analogue, USB and Toslink optical digital inputs for compatibility with a wide range of hi-fi sources. Not only does Xeo support multiple sources but it will also stream out to three independent speaker zones, spreading its lively and dynamic sound quality throughout your home. Hind: sõltuvalt mudelist alates 700€/tükk. KÜSI PAKKUMIST! Danish loudspeaker brand DALI is no stranger to the high-end and this latest addition to the EPICON range is appropriately ‘epic’. The statuesque EPICON 8 stands 1.26m tall and features a dedicated wood-fibre coned midrange driver sited above a novel hybrid tweeter module and augmented by two bass drivers. Key innovations include the use of a non-conductive powder material in the magnet system, called soft magnetic compound (SMC), claimed to reduce distortion over a wide dynamic range. The EPICON 8’s enclosure is formed of six layers of MDF and is finished in a choice of gloss black and real wood veneers. Its sound is equally impressive, at once bold and intimate, its broad soundstage peppered with musical detail, filling the largest of rooms with ease. When is a CD player more than a CD player? When it’s designed to be an outboard D/A converter complete with integral CD drive. This is Cambridge Audio’s Azur 851C, its best player to date and one that combines its most sophisticated DAC design with USB and legacy digital audio inputs. 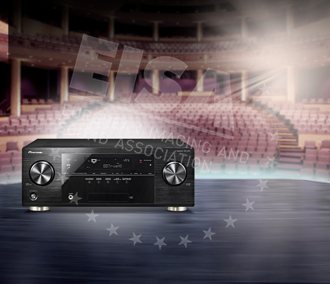 The partnering 851A amplifier is just as slick, employing the latest version of the company’s proprietary Class XD technology to comfortably exceed its 120W specification. So while the 851C DAC/player brings a quiet composure to the party, the 851A is a wolf in sheep’s clothing, a muscular amp that grips the speakers and serves up tight, powerful and extended bass. In the 851C and 851A you’re getting cutting-edge technology for substantially less than high-end prices. Add the best speakers you can afford and this two-channel system will deliver a taste of hi-fi heaven. The B&W PV1D is no ordinary subwoofer, it’s bass done with style. Its curvaceous shell houses a pair of back-to-back drivers, mounted to cancel unwanted resonances, and powered by a new 400W-rated Class D amplifier. The drivers are equally special, the lightweight but very stiff diaphragms a sandwich of expanded polystyrene between an aluminium face and rear paper/Kevlar layer. Comprehensive onboard DSP prevents overload and audible distortion from this deceptively compact sub while B&W’s recommended low-pass filter and delay settings aids its integration into both 2.1 and fully-fledged 7.1 home theatre speaker systems. Action movie fans will be delighted to discover B&W’s four EQ presets, one of which will fill any room with a clean and deep, rib-tickling bass. Showing that great speakers can always be made better, Canton’s latest generation of its successful Vento series is proving a real hit with home theatre fans. Our choice includes the 870.2 floorstanders partnered with the 820.2 surrounds and 856.2 centre channel – all benefiting from Canton’s ceramic dome tweeter, a technology originally developed for its top-of-the-line ‘Reference’ series. 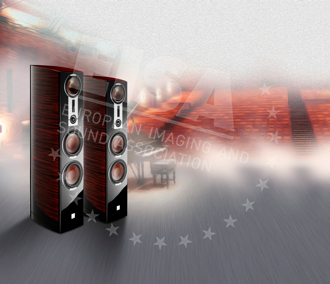 The crossovers and six-layer laminated cabinets have also been fine-tuned so that the new Vento 800.2 series delivers a lively performance with both music and movie soundtracks. The speaker combination provides a delicious amount of detail without sounding aggressive, its spacious soundfield providing a host of home cinema fun. Hind: alates 2400€ sõltuvalt konfiguratsioonist ja kõlarite viimistlusest. Küsi pakkumist! With its SB30, Harman Kardon takes a big stride towards a grand home cinema experience. Key to the success of this soundbar and sub combination is its ‘Harman Wave Surround’ technology, a marriage of no fewer than six small midrange drivers, seven metal/ceramic tweeters and eleven channels of power. For realistic bass extension, the system includes a wireless subwoofer with an 8in driver and powerful 100W Class D amplifier. Installation is easy, just hook the SB30 to your TV or BD player through analogue or digital connections and you’re good to go. Dolby Volume ensures you’ll not fall off the sofa when the adverts start while sound quality with movies and concert BDs benefits from a realistic tonal balance, good focus and a great sense of acoustic space. 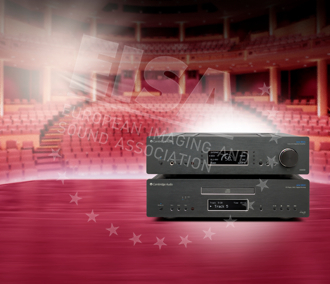 Success in the competitive AV field is hard won, so Pioneer has worked harder than most to take our Receiver Award for the second year in a row, this time for its fine-sounding VSX-922. Casual inspection reveals little change from Pioneer’s previous generation, but there are key improvements including six 3D-compatible HDMI inputs, 7.2 channel outputs and a host of new video processing options to improve picture quality. The VSX-922 supports both DLNA and AirPlay, has a digital connection for iPod, iPhone or iPad and plays WAV or FLAC music files up to 192kHz/24-bit via its wired network or USB connections. Functional and fun, interactive control is also offered in the form of Pioneer’s iControlAV2012 app for smartphones and tablets. Tubes fight back in this novel home theatre system from Samsung, bridging the generations between thermionic valves and modern Class D amplification. The HT-E6750W incorporates two 3D-compatible HDMI inputs and one output, this ‘Smart Hub’ extending the world of social networking, apps, services and on-line entertainment to any HD TV. Other media may be connected via Wi-Fi, Bluetooth or USB while the 5.1 channel loudspeakers are supplemented by a further two channels of ‘virtual front surround’. 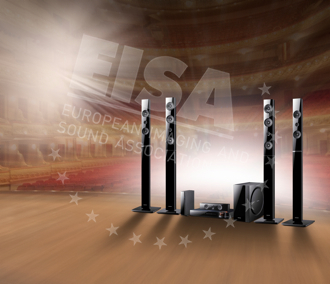 Although the HT-E6750W is designed for home cinema use, its sound quality is both subtle and powerful enough for music reproduction as well. All this plus a wide selection of decoders for the latest audio and video standards ensures your enjoyment will run and run. 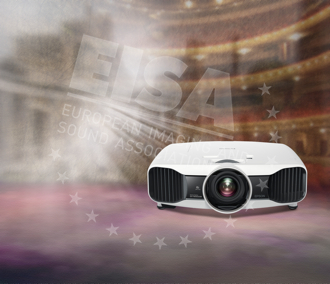 Home theatre diehards have keenly anticipated a true 4K projector and Sony’s VPL-VW1000ES is that dream given form. This inaugural native 4K home theatre projector offers a full 4096х2160 pixel resolution and is based on Sony’s professional cinema solution. At its core are three new SXRD matrix panels capable of delivering a claimed 1,000,000:1 dynamic contrast ratio through its specially developed 2.1x zoom lens. As you would expect for a projector of this resolution, its picture processing is exceptional, upscaling Full HD input to fill its 4K capacity with seamless efficiency. Your favourite movies have never looked so vivid, detailed and realistic – this is the projector of the future, available today. 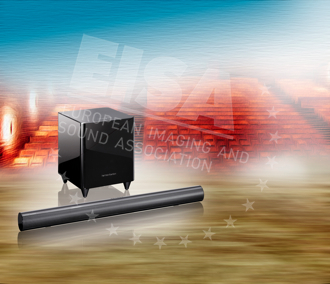 The Epson EH-TW9000W is one of the first home cinema projectors to include technology for the wireless transmission of Full HD 3D images – making long HDMI cable runs a thing of the past. 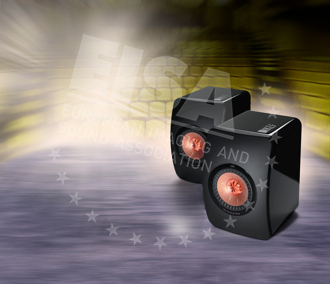 The high power E-TORL lamp, combined with a 480Hz refresh rate, creates bright, smooth 3D pictures. 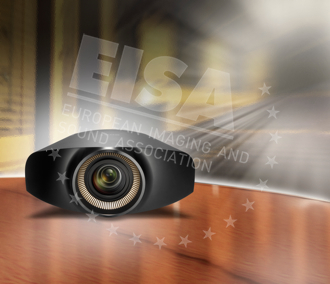 The optical engine includes a large zoom range and horizontal/vertical lens shift, making set-up very easy, while excellent video processing and movement compensation also ensure the Epson’s performance is first rate. This is one of the best solutions that can be found on the market today – use it to build the home cinema set-up of your dreams! Spirit One is Focal's first venture into the mobile headphones market, and it is a headset that comes in a luxurious package and includes a beautiful zip-up pouch for storing and protecting the product. These are closed-back type headphones with an in-line remote controller and microphone that's compatible with music and telephone services on iOS devices and smartphones. The anti-winding cable is completely detachable. Focal has used very high quality materials in the construction of these Spirit One headphones, and they are lightweight and comfortable to wear. The pads are very soft, and do a good job of insulating against external environmental noise. Sound quality is excellent, with a great emphasis on high frequencies but with plenty of bass when your music demands it. Sennheiser has been at the forefront of headphone development for decades, experience reflected in the engineering of its new HD 700 model. Instantly recognisable by its elegant and very modern aesthetic, this open circumaural design incorporates a wealth of materials technology. The soft velour ear pads are supported on a silicone-damped headband while the efficiency of the internal drivers is enhanced by its ventilated magnet system. Very comfortable to wear, the HD 700 maintains Sennheiser's tradition for a tremendously detailed performance, assisted here by its proprietary angled baffles. Moreover, this model's sound possesses a welcome richness, its naturally warm aspect encouraging long spells of listening. Despite its name, the Debut is not Pro-Ject's first turntable but one of a series that has formed the backbone of this hugely successful brand. In its latest guise, the Debut includes a one-piece chassis, available in seven gloss finishes, with a belt-driven alloy platter. The motor benefits from an improved suspension but the most distinctive feature of this deck is its new carbon-fibre tonearm, derived from Pro-Ject's popular 9cc model. The sound of this turntable combination is as mature as the design itself, with a dynamic, foot-tapping quality reminiscent of far costlier models. Voices are also portrayed with an insightful clarity and weight. If you are curious about the vinyl revival, then Pro-Ject's Debut Carbon is the ideal place to start spinning those LPs. Hind: sõltuvalt valitavast helipeast alates 299€. KÜSI PAKKUMIST! This combined home theatre system provides a stylish, flexible solution that's easily integrated into your living room, due to the fact that the Connect ID 46 offers 2,160 feature and design combinations, including different stands, colours and specifications. The TV's picture quality is matched by the excellent audio performance of the Home Cinema Set 5.1, which includes the MediaVision 3D Blu-ray system with iPod/iPhone dock, five satellite speakers and a wireless subwoofer. Control is made simple via Loewe's new iPad-compatible Assist Media app. This is a premium package that benefits from high-quality materials and excellent craftsmanship. For many manufacturers, 2012 is the year of Smart TV, yet LG has managed not only to integrate useful apps to get content from the internet – it has made these features quickly accessible and easy to use via its improved Magic Remote with voice control. Of course, LG's Nano Full LED panel also delivers excellent black levels, high contrast and a natural colour reproduction for outstanding picture quality. With Cinema 3D, LG offers a 3D solution for the whole family, including a box full of lightweight, comfortable glasses. On top of this, the 55LM960V is one of the most elegant TVs to look at – even when it's turned off. Put simply, Panasonic's TX-P50VT50 is the best plasma TV you can buy, offering deep black levels, natural colours and a superb Full HD 3D performance. In addition, it's packed with state-of-the-art features, including built-in Wi-Fi, a web browser, access to social networks, apps via VIERA Connect and an advanced calibration mode. Connectivity is excellent, with an SD card slot, four HDMI inputs and three USB ports provided, and the TV's design is sleek and stylish. 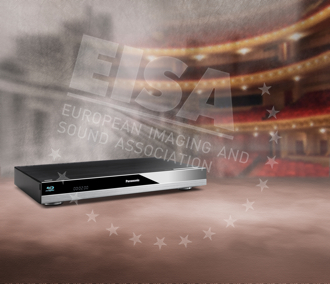 For consumers who like the picture quality that plasma technology delivers, the Panasonic TX-P50VT50 is the number one choice. Year after year we have on the market new Philips TV models with top specifications, and year after year they surprise with even better performance. The 46PFL9707 features an improved Moth Eye filter to drastically reduce screen reflections, and the direct LED backlight with local dimming allows for deep blacks and peak brightness. Motion compensation is excellent as well, while the new Flicker Free glasses technology means you can enjoy 3D movies without the discomfort often associated with the presence of ambient light. Finally, the new remote control incorporates a keyboard to simplify navigation of the TV's Smart features. In an age of fast-changing technical products customers will appreciate always having an up-to-date TV. With the Samsung UE46ES8000 this is now possible, thanks to the Evolution Kit that allows the hardware and software to be upgraded to the latest functions and capabilities. Of course, the UE46ES8000 already comes with modern features, including a Smart service offering a huge amount of apps, built-in Skype camera and innovative speech and gesture control. And Samsung's stunning UE46ES8000 delivers not only a future proof solution but excellent picture quality, with sharp, high-contrast pictures and neutral and realistic colours. Sony's KDL-55HX850 is the ideal television for 3D movie fans. The very fast response time of the panel and its ability to keep the two image channels separate means image quality is striking, with almost no crosstalk. Sony's Cinema mode, meanwhile, ensures correctly-balanced colours straight out of the box, and black levels are excellent due to dimming technology that reduces the backlight in dark parts of the picture without a loss of shadow detail. As well as the superior 3D and 2D pictures, the unique lean-back stand provides a convenient, stylish viewing experience.